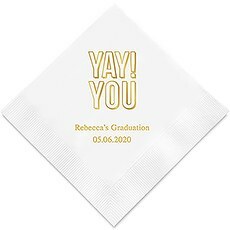 Shower the bride-to-be at her shower with lots of love, good cheer and fun decorative touches like our Bridal Shower Personalized Napkins. 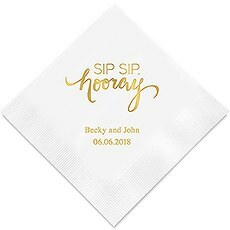 Whether you are the bride, mother-of-the bride or maid of honor, we help you each step of the way to find the bridal shower napkins that complement the theme and color scheme without going over budget. 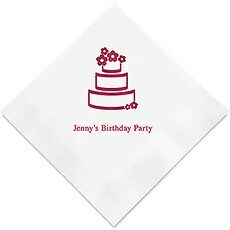 Are you hosting a tea party shower? 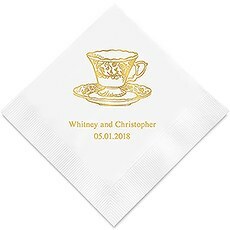 Our Vintage Tea Cup Printed Paper Napkins in classic white and gold lettering would please the Queen of England. 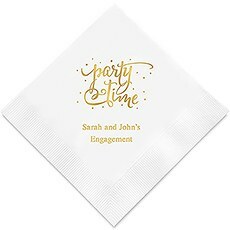 Are you having a girly, bling-themed shower? 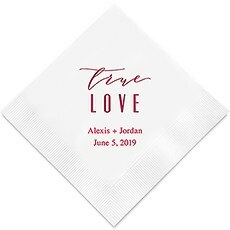 Set the mood by setting out our Yes To The Ring Printed Paper Napkins in hot pink.We give you plenty of flexibility when it comes to personalizing your napkins — down to the napkin color, print color and wedding-themed icons and sayings. 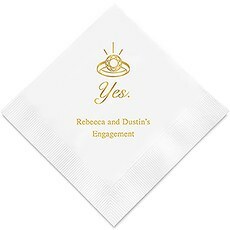 With so many options to choose from, you will not have an issue finding the right one. Feeling creative? 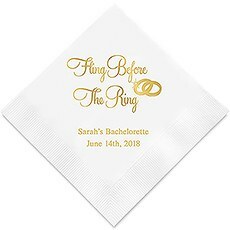 Have a fun nickname you call the bride? 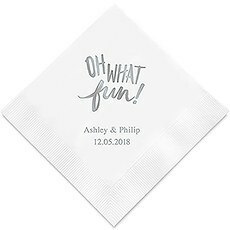 Have an insider joke? Consider having whatever you wish printed on your personalized napkins. 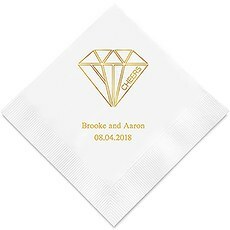 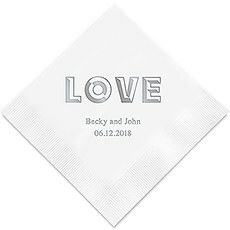 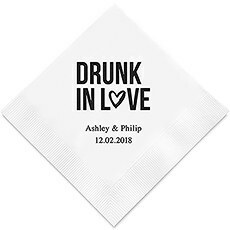 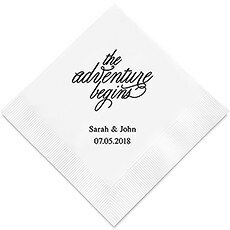 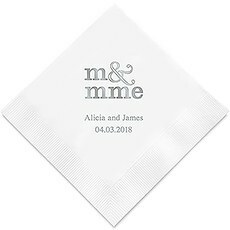 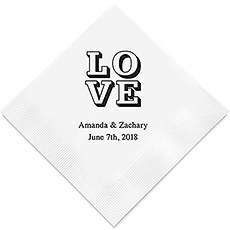 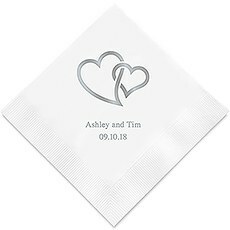 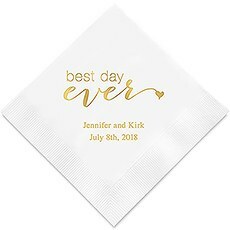 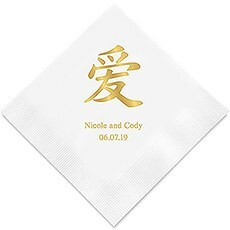 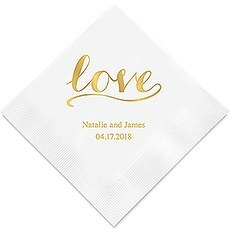 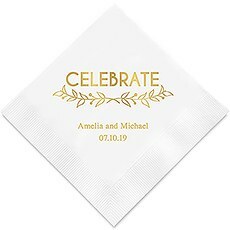 Quality-made, yet affordable, our bridal shower cocktail napkins, luncheon napkins and dinner napkins come in a seemingly endless array of charming monogram styles and wedding logos. 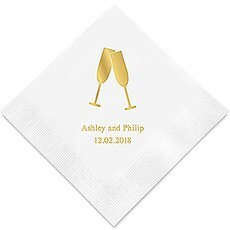 From a sweet silhouette of a bride and groom to beachy star fish to two classic champagne flutes, we have something that captures the personality and taste of every bride.Be sure to keep one or two set aside for the bride to include in her scrapbook or memory box for her to enjoy looking at years down the road. She will have such fun going down memory lane reliving the memories of her shower.